An Englishman in Colombia: Pottering! It looks as if our water woes may be over thank goodness, we seem to be having storms every night, as a result the Water Company have decided not to cut or reduce pressure again for the time being! 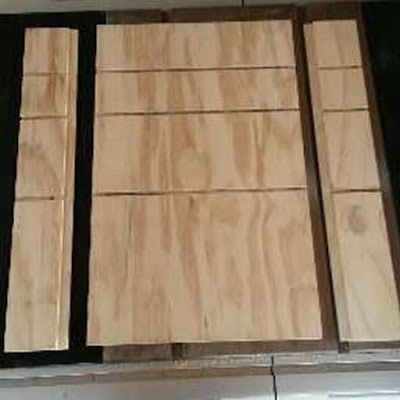 Yesterday, I decided that although I don't have enough timber for the bigger projects, I could get one or two of the smaller ones done with the timber I have in stock. 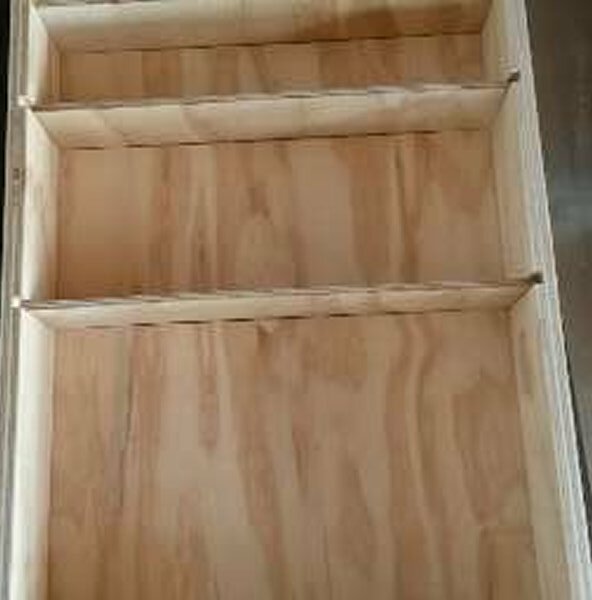 The first of these projects, is a medicine cabinet. At the present time, all our medicines, and related items, are stored in a box and on a shelf in the storeroom/third shower room, we found ourselves double buying, and also storing tablets that were well out of date, a wall cabinet would remedy this. I decided on a large thin cabinet, so it will be 24" high, 15" wide, and a total of 4" 'thick' in 15mm plywood. I drew out the parts yesterday, and this morning cut them out. That is all except for the door, so I have the back, sides, top and bottom, and shelves (these in 6mm plywood). So we can also store bottles inside the bottom shelf will have 10" headroom, then they get gradually smaller. 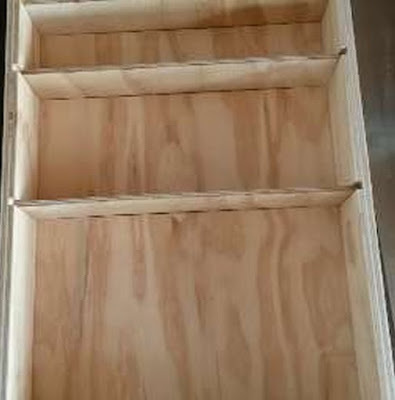 I used the dado blade to cut the halflap joints to attach the sides to the back, and also to cut the dados in the sides and back to accept the shelves. Now the cutting out is done, and the dryfit shows it all fits well, I will sand it all, then paint it white, before assembly, with the obligatory red cross on the door. 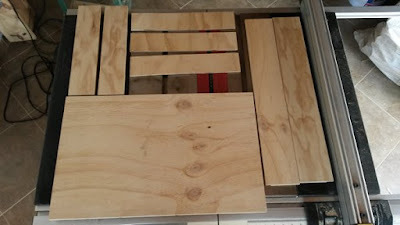 The reason the door is not cut yet is because, I wanted to see it assembled in a dryfit, to get the correct size, rather than have to trim it down later.